Brand new video by Richie Campbell performing "I Feel Amazing", produced by Nicholas Browne and directed by Pedro Dias and Richie Campbell. "I Feel Amazing" is taken from Richie new studio album "In The 876", check it out! Brand new video by Africa Unite performing "Thanx and Praises". This new videoclip is produced by Francesca Musso and directed by L. Bragagnolo and A. Caroppi. "Thanx and Praises" is taken from "Il Punto di Partenza" the brand stunning new album by Africa Unite, check it out! Lauryn Hill’s debut solo record, following the breakup of The Fugees, is a work of honesty in which Hill explores her feelings on topics that included the deep wonder of pregnancy, the pitfalls of modern relationships and the experience of the sacred. The album effortlessly fuses soul, R&B, rap and reggae. Hill’s vocal range, smooth clear highs and vibraton are stunning. The rapping is rhythmically compelling while always retaining, and frequently exploiting, the natural cadences of conversational speech. Standout guest performances include Carlos Santana’s soulful acoustic guitar solo on “To Zion” one of the best songs of this amazing album. #BackInTheDay: music video by Rihanna performing "Man Down". "My favorite artists are all reggae artists and I'm super ispired by reggae music” Rihanna told @ MTV News. Watch now this great movie clip! Brand new music video by Iba MaHr performing "Mama Rosie" directed by Winston 'Tyson' Mayhew. ENJOY IT! Reggae.Today presents this amazing performance by Mellow Mood playing "Sufferation" from their stunning new album "2 The World". Live set in Conversano (BA) Italy @ "Casa Delle Arti", check it out and stay tuned for more news about Mellow Mood! Afrika Arise two is better than one. Especially when two reggae powerhouses join hands. Tanzanian Afroreggae star Jhikoman and Peetah Morgan of the Royal Family of Reggae Morgan Heritage fame from Jamaica recorded this feel good track in Helsinki while touring. It will make you wanna dance whether you into reggae or not. “Is This Love?” is a song by Bob Marley & The Wailers, released on his 1978 album Kaya. The song became one of the best known Marley songs and was part of the Legend compilation. The music video was shot at the Keskidee Arts Centre in London. In the video, supermodel Naomi Campbell (then seven years old), made her first appearance in the public eye. Brand new music video by Eddie Murphy performing "Oh Jah Jah" directed by Richard Gumbs III. ENJOY IT! Track 1 from Protoje's #1 reggae album, Ancient Future, released worldwide on March 10th! Share the vibes! So strength out to the wise and protection for the weak. Music video by Jimmy Cliff performing Children, produced by Niney Observer. Jimmy Cliff adds his voice to the discussion on one of the most important social issues of today, check it out and share the vibes! Music video by Ky-Mani Marley performing All The Way taken from his upcoming album "Maestro" out 30th June. Share the vibes! The first single from their impending album, The Conversation, is released by British Dependency Songs Ltd., and distributed by VPAL/VP. "Close Your Eyes" was written by band members Joyah Gumbs, Jaiden Fleming and Ishmael Keith along with Davon Carty and legendary producer Collin York. York, who has worked with Brittney Spears, Madonna, Rihanna, Michael Franti, Maxi Priest, Jimmy Cliff, Chaka Kahn, Cindy Lauper and Boy George, was one of the Band's frontrunners to produce the album along with Dwayne Anglin, lead singer for the Wailers. Of the project he remarks, "The dynamics of the band is very different, unusual. They remind me of The Fugees or Black Uhuru - very talented." Mr. Anglin adds, "The project has great potential. It has surpassed our expectations." The Reggae/R&B tinged single is new member, Ishmael Keith's first introduction to the band's fan base since joining the group in June 2014. The natural chemistry that is evident in the delivery of the single makes it a crossover contender. Victor E. Lewis adds, "With this single, we are looking forward to embarking on another touring season. It's exciting to know that the appeal of the single will broaden our market thus exposing the band to a wider range of not only fans but also venues and festivals." Recently named LIME Anguilla Brand Ambassadors, British Dependency will perform "Close Your Eyes" for the first time at the launch of Caribbean Dreamers Live concert series on May 12, 2015 in New York City at Le Poison Rouge. Hailing from the British Isle of Anguilla, British Dependency brings Root, Heart and Soul to Reggae music by fusing various genres with their three piece ensemble, drum, guitar and bass. Their unique and eclectic sound appeals not only to those with a discerning musical palate but also those who are avid reggae fans. Adding to their vintage sound is a fresh take on the overall feel and look of the band which consists of Anguilla's first female bass player, Joyah along with drummer, Jaiden and lead vocalist and guitar player, Ishmael. On November 20, 2013 the band released their debut album, Finding Wisdom. The 10 track album, currently in rotation on Sirius XM Radio, showcases the group's eclectic sound with a diverse playlist, that is a perfect mix of love ballads, "Fly Away," "Do You This," "Look Into My Eyes," empowerment singles, "One," "Change," "Wisdom," "Casket Closed," and life lesson single "Small Minded People." The band delivers each track with an ease that is sure to transport listeners to a state nirvana. The Band lives by the mantra, "Creating music that reflects originality, talent, togetherness, bravery and wisdom. Our Music, Our Future, Our Independence." With that they continue to push the boundaries and open new roads of empowerment and forward-thinking. 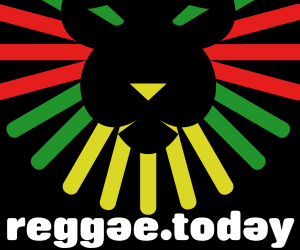 Strictly Roots, the recently released full-length from The Royal Family of Reggae, Morgan Heritage, has debuted at #1 on the Billboard Reggae Album chart in its opening week, following its initial debut as the #1 Reggae Album on iTunes. The album’s impressive charting also includes #16 on the Billboard Heatseekers chart. Strictly Roots is currently available digitally and in retail stores nationwide including Best Buy, Target, Walmart and Barnes and Noble. Purchase Strictly Roots on iTunes, here: http://apple.co/1zzk8II or on Amazon, here: http://amzn.to/1OyYCe8. For more information, please visit: www.MorganHeritageMusic.com. Dubtonic Kru presents 99% produced by Deleon "Jubba" White (White Stone Productions)...check it out! Music video by Iba Mahr performing Travelling Home taken from the Album "Retro Locks Riddim" by Oneness Records. Video directed, shot and edited by Benjamin Zecher, check it out! Don Corleon presents Miley Cyrus's "Wrecking Ball" in DUB...check it out & share the vibes! Music video by Tarrus Riley ft Shaggy & Sly and Robbie performing Rise Up, check it out!